Technology-Portfolio.Net - After some time ago, the social networking giant Facebook finally officially launched the Lasso, a short video-based application. This application is present in order to seize contemporary or millennial teen users who are increasingly going to leave Facebook, where only half of the total teenage users (initially 71 percent in 2015) are still using social media at this time. Lasso is a standalone application containing entertaining short videos, from comedy, beauty, to fitness and more. Facebook will add slowly to gather feedback from Lasso users to develop their potential. Lasso has the ability to display full-screen, Discover page, where users can search for videos made by other users, as well as a timeline page titled 'Today's top Creators'. The page allows users to see the best video makers, or videos that are trending. All of these features are claimed to be easy to navigate. In making content, the Lasso application is equipped with tools that allow users to lip sync, record short videos, and include music (licensed in the catalog) into videos that can be set to speed. 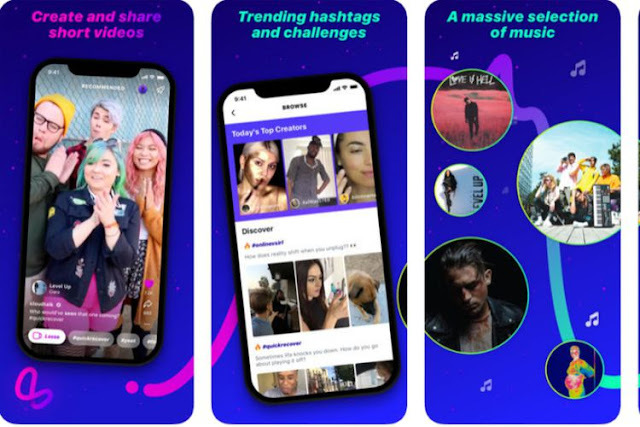 In addition to uploads and user profiles that can be seen 'publicly', Lasso also has the ability to 'cross-platform', which means users can upload the video to Facebook Stories. Facebook also promises 'cross-platform' Lasso with Instagram Stories that will come in the near future. The Lasso application is deployed for the Android and iOS platforms. Lasso users can log in easily using a Facebook or Instagram account. In the meantime the new Lasso application can be used (downloaded) by users who live in the United States alone.